Do you ever have those moments when you just don’t want a good thing to end? A birthday party? A graduation? A marriage? Well, I feel the same way about the Mueller investigation. 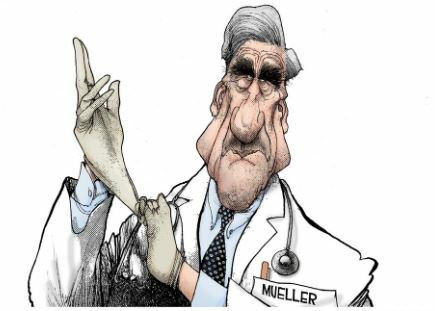 After all, if it ended today, what would we do with all those unemployed liberal lawyers on the Mueller investigation team? They would just go out and, like teenagers without anything to do, just get into trouble elsewhere. And, let’s face it. They are effective. What other band of merry men could send 26 agents with 17 vehicles and with guns drawn, to arrest Roger Stone in a pre-dawn raid? Luckily, a CNN camera crew happened to be cruising Stone’s neighborhood at just that same time and captured the elderly, apparently dangerous Roger Stone arrested on camera. What a stroke of luck! Now that is what I call efficiency! Now I must make an assumption. I will assume that in the near future, the Mueller investigation team will be wrapping up its investigation into how the Russians influenced our 2016 presidential election. Surely, as efficient as they are, they must have found some stuffed ballot boxes with borscht stained ballots. Of course, these ballots would all be for Trump. Thereby, we must investigate anything and anyone that has ever been in contact with Donald Trump. Trump attorneys, Trump accountants, Trump bathroom attendants, and now it appears Donald Trump, Junior, will now all be subpoenaed by the Mueller investigation team. Now that is what I call progress! And…it has only cost the American taxpayer about $40 million for this team to accomplish all it has done in the last 19 months. But alas. All of this will soon come to an end, and then what will we be able to watch on the 24/7 news channels? Maybe another supreme court justice nominee roast? Possibly another Corey Booker ‘Spartacus moment?’ Do we have a new Attorney General? Boo hoo. What will we do? As I have mentioned in previous blogs, I attended a midwestern university and was a member of ROTC. There were about 320 cadets in the four ROTC classes. The school graduated about 80 future Army officers each year. I graduated in 1971. That year was the year that the Vietnam Conflict began winding down. But in my old age, my thoughts always return to the Army ROTC graduating class of 1968 at our university. I knew many of these guys well. They were young. They were patriotic. They all volunteered to do what they thought was right for America. They persevered to graduate from college and become Army officers. And, because of the luck of drawing a short straw, they were all commissioned at the time of the most intense fighting in Vietnam. About one-fourth of that graduating class was killed in Vietnam. Some of the best people I have ever known were struck down before experiencing marriage, children, grandchildren….all of those things that make life worth living. Gone. These guys were brave. These guys were patriotic. These guys sacrificed their lives for what they believed was right for America. So here is my challenge to Robert Mueller and his investigators. In light of what I have just related, I need to add that at the most, these fine soldiers got to determine their fates by being able to vote only once; in the 1968 presidential election, before being killed in the defense of America. And, in light of the fact that the Robert Mueller investigation is purportedly about Russian collusion, I want the Robert Mueller investigation team to investigate the number of non-American citizens that voted in the 2016 presidential election. I want to know how many. I want to know how they were allowed to vote. I want to see subpoenas and punishment for those officials that allowed non-citizens to influence and participate in our election. Because, in my eyes, anyone that allows a non-American to vote in our elections has ‘stolen the valor’ from those who made the ultimate sacrifice to defend this country. This valor has been stolen not only for my Vietnam compatriots, but also from those that have served in all of our wars and conflicts. In effect, American citizenship has been cheapened and sold wholesale. I am positive that there will be millions of votes found that are fraudulent and in numbers that the Russians could ever imagine to influence. Go get’um Robert! Here is my second proposal for the Robert Mueller investigation team. In my last blog, I presented statistics indicating that there are ten states with legalized recreational marijuana in the United States. Of those ten states, seven of them consider themselves ‘sanctuary states, sanctuary counties or sanctuary cities.’ The sanctuary counties and cities are the largest in each state, if the state, as a whole is not considered a sanctuary. Coincidentally, these sanctuary areas are controlled by liberal politicians. So let me be clearer: we have seven sanctuary areas, controlled by liberal politicians, that have legalized marijuana. Coupled with the fact that these liberal politicians are diligently fighting against a southern border wall with Mexico, I want to know the following: How much illegal drug money and marijuana money is being poured into our elections and who is getting it? Let me give the Mueller investigation team some guidelines. What we need to know is how are the drug cartels benefiting from our current situation. Do they benefit with no wall? Yes. Are they able to move money, drugs, and their compatriots across our border easier without the wall? Yes. Do they use civilians illegally crossing the border as their ‘drug mules?’ Yes. Are some of the people illegally crossing the border going to become customers for the drug cartel? Probably. But I save the biggie for last. Are drug money profits being used to influence our politicians? Before answering this, I need to point out that recently, one of ‘El Chapo’ Guzman’s lieutenants said that the former president of Mexico, received a $100 million bribe to allow El Chapo to run his drug business unmolested in Mexico. Supposedly, this was the amount settled on after the former president requested $250 million! That revelation came and went from the media faster than a speeding bullet. Why? Because if true, it would indicate that politicians could be influenced by drug money. Who knew? But if you think that bribe is fictitious, then we need to discuss the non-fictitious Clinton Foundation. The Clinton Foundation was never sanctioned as a charitable organization, as less than 3% of their ‘contributions’ were used for charitable purposes. With the Foundation being located in Canada to protect its ‘contributor’ identities, the entire foundation was a money machine for Clinton wealth attainment and for financing Hillary’s 2016 presidential campaign. One contribution of $147 million was made after the completion of the Uranium One deal while Hillary was Secretary of State. How convenient. More amazingly, that contribution came from Russia! So with the Clinton Foundation and the purported pay-off to the former president of Mexico, now do you think it possible for illegal drug money to be influencing our elections? I certainly do. I believe our politicians may be accepting illegal drug money contributions either knowingly or unknowingly. After all, the drug cartels are not stupid. They would be making contributions through nobly named organizations, such as, ‘Progressive Hispanic Voters of America,’ or some such names. Does this whole thing make more ‘common sense’ when you wrap up illegal drug monies, with sanctuary areas, with liberal politicians fighting border security with marijuana legalization? Then to complicate this, throw in the votes cast by non-citizens in the last presidential election from these same ‘sanctuary’ areas. Does any of this make for a better America? This entry was posted in Army, Political Opinion, Politics, US Army and tagged Clinton Committee payments to Fusion GPS, Clinton Foundation, Democrat senators in marijuana states, fighting border security, Illegal drug monies influencing elections., illegal immigration, Investigating Donald Trump, legalized marijuana states, Mueller Investigation, Robert Mueller Investigation, Russian voter fraud, Sanctuary areas, Sanctuary states, Stolen valor, voter fraud, Voter ID, Voting privileges on February 4, 2019 by Grandpa T.
In eleven days, Donald J. Trump will be inaugurated as the 45th President of the United States, thus ending the eight year tenure of Barack Hussein Obama. It has become apparent that all thoughts and efforts, as of the November election, have turned to preserving the legacy of the outgoing 44th President. Secondarily, it has become apparent that the Democratic party is also trying to preserve some kind of legacy. What exactly is Barack Obama’s legacy going to be? Quadrupling the national debt to a staggering $20 trillion, plus or minus a few hundred billion? Overseeing the military response to Benghazi? The picture of American sailors on their knees after being captured by the Iranian navy? The picture of him kissing the ring of the King of Saudi Arabia? Placing the most people in US history on welfare and food stamps? Overseeing 19 million people leaving the US work force? Help me out here! I am trying to come up with something positive for POTUS 44 to hang his hat on, and I am coming up short. He will be the first black President, but that is obvious and now I may be branded a racist for pointing out the obvious. He may very well be the first Muslim President. This has never been confirmed by the liberal-biased main stream media. Of course, any media outlet that would have the cajoles to speculate about his religious preference would immediately be branded as ‘Islamophobic.’ Ah, but there is something that can be attributed to POTUS 44. Political correctness! We have now been inundated with people being black, gay, lesbian, illegal alien, transgender and a host of other things as not only being equal to the citizenry of the United States, but being special! If you do not buy into that program, you are automatically branded as a racist, xenophobe, Islamophobic or any other of a myriad of phobias with negative connotations. So, I, Grandpa T, hereby declare POTUS 44 as the President of Political Correctness. Ta da! I knew I could come up with something positive. But, with all the baloney aside, have you noticed the efforts on the part of Obama and the Democratic Party to save Obamacare? Let me provide a little history for edification. In 2009, immediately after being inaugurated, and with control of both the House of Representative and the Senate, the Affordable Care Act was rammed down the throats of the country. It was not so much of an issue of being passed, but how it was passed. It was passed without anyone knowing what was in it as it was almost 2000 pages long. It was passed without any input by the Republican party, regardless if they had ideas that would have improved the bill or not. It was passed by the Democratic Party without anyone reading the bill. Do you remember those infamous words of March 9, 2010 by the vaunted Nancy Pelosi? “We will have to pass this bill to find out what is in it.” Say what? This is how government works? Even at the time, I was shocked that so stupid a statement by Nancy Pelosi and so stupid an action by our Democratic controlled government took place. Instead of ‘shoot first, and ask questions later,’ our Federal legislature decided to ‘enact first and work out details later.’ At the time of enactment, the Democratic Party basked in the glory of having taken total credit for the Affordable Care Act without interference or input from the opposing party. Now comes the election of 2016 and with it comes the the victor, the future Non-Political Correctness POTUS 45, Donald J. Trump. Donald, being a successful businessman by all measures, knows the Affordable Care Act is too costly for the users and it is just not working. The promises made, such as lowering health care costs and being able to keep you present physician, turned out to be false. So now we get to the legacy of what the current Democratic Party will have for now and in the future. 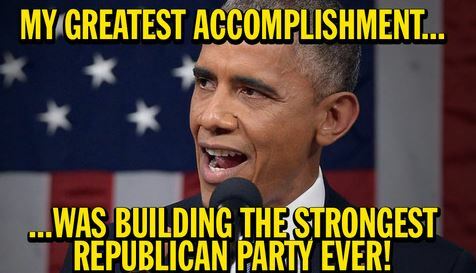 That legacy will include being whiners, criers, divisive, counter-productive, poor losers and not being able to grasp reality. Beginning with the Affordable Care Act, the Democrats are saying (even before Trump is inaugurated) that the Republicans do not have a plan. In reality, there are about 15 different plans floating around, and hopefully, there will be constructive discussion about what is the best and most affordable plan for America, utilizing the best from each plan including some parts of the original Affordable Care Act. Of course, the Democrats do not want to replace the Affordable Care Act because they dubbed it Obamacare. And, by totally repealing it as the Republicans have promised, would tarnish the largest part of the outgoing POTUS’s legacy. I do not see the Republican controlled legislature replacing Obamacare without discussion and input from both sides….something the Democrats did not do in 2009. But I would also like to point out that if the Democrats would have taken the time and effort to improve, read, and cooperate concerning the Affordable Care Act passed in 2010, it would not have to be repealed today. You screwed up…all to buy votes. As poor losers, the Democratic party is going all out to purvey that Donald Trump’s presidency as not being legitimate. They cannot believe, or get over the fact that their candidate is not being crowned ‘Queen Hillary the First’ in eleven days. Never mind that she never campaigned in the formerly blue states because of over-confidence in winning them. Never mind that her opponent made three times more speeches and campaign stops than she did. Never mind that her campaign palaver was based on poor versus rich, common people versus large, evil corporations or that the common American could not survive without the interference and support of a bloated federal government. But Hillary, here is where you lost the election. 95% of my and Grandma P’s friends and acquaintances are either college graduates or military veterans, or both. 90% of them supported Donald Trump. And you, Hillary, from the view of your ivory tower, determined that you were omnipotent and were justified in calling us and our friends, deplorable and irredeemable, because we supported Trump. All of this from a woman whose husband was a draft dodger. All of this from a woman that allowed four Americans to be murdered in Benghazi. Who is deplorable now? I forgot. The Russians are responsible for skewing the election to Donald Trump. Even though the US intelligence community has said numerous times that the Russkies did not directly affect the vote total, that is not what the Democrats want to purvey. Never mind that John Podesta’s email account password was, well, ‘password’. Those darn Russkies released all kinds of unsavory things that skewered the election. Unsavory Clinton foundation illegal foreign contributions? Paid demonstrators to disrupt Trump rallies? What were those Russkies thinking? Did you know that there are efforts in five states to keep Trump off the ballot in 2020? Yup. Maryland, California (no surprise there! ), Maine, Massachusetts and New York are all trying to take his name off the ballot if he does not release his tax statements. I never knew one’s tax statements were a condition of running for office. Talk about sore losers! Of course, in true whiner, crier, divisive and counter-production form, the Democrats are already toting that they will fight against any supreme court justice nominee, and play devil’s advocate and fight most cabinet nominee appointments. None of this was done by the Republican party in 2009 after Obama was inaugurated, but the Democrats, with their addled thinking, are justifying why they will do it now. So what has the Democratic party become? Do you remember any riots, protests, movie star bad-mouthing, politicians swearing non-cooperation when the incoming Obama was elected in 2008? No? That’s because there weren’t any! Bad behavior, lack of respect, the use by celebrities to use their station in life to exacerbate lack of respect, the promise of non-cooperation by politicians now in the political minority are only traits of today’s Democratic party. That is what the ‘ivory tower’ attitude, justified in their own minds, Democratic party has become. With all of the Democratic machinations that have taken place since the election, Hillary really needs to reevaluate who the ‘deplorable and irredeemable’ really are. It’s you. And this will be the Barack Obama and Democratic party legacy. This entry was posted in Common Sense, Common Sense Solutions, Congress, Obamacare, Political Insight, Political Opinion, Politics and tagged "We will have to pass this bill to find out what is in it. ", 2016 popular vote, Affordable Care Act, benghazi, biased media, California welfare, Clinton Foundation, congress, Democratic emails, deplorable and irredeemable, Donald Trump, emails, fiscal cliff, Hillary Clinton, John Podesta, legacy, Media Bias, Nancy Pelosi, Obama, Obama legacy, political correctness, political decision making, Russian voter fraud, Voter ID, welfare, welfare programs on January 9, 2017 by Grandpa T.